One of the most important PC games of all time and a foundation to my modern gaming abuse, Commander Keen, as a title turns 19 this year. In other news, Dopefish (from CK Episode 4: Secret of the Oracle) drops a brand new EP on Dopefish Audio. Three remixes of the classic track Jamrock by Damian Marley do not disappoint. There is something for everyone with a breaks, fidget, and dubstep mix of the song. If you like this music, buy it on Beatport. Portuguese producer/dj DJ Manaia is the baile funk don dadda. Check out this little rave gem. A genuine face-melter. 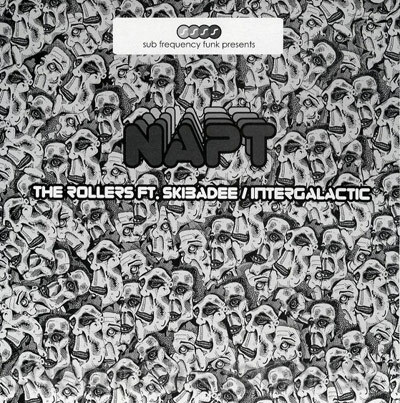 NAPT has been on absolute fire recently and was nominated for Best Producer at Breakspoll 2008. A few of their tracks are in my current rotation and here is a brand spankin’ new one featuring MC Skibadee. Sure to be a go-to track for any big room moment.